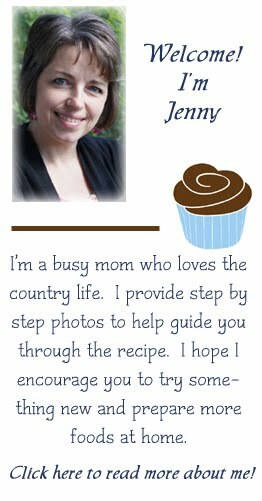 IN THE KITCHEN WITH JENNY blog is written and edited by me, Jenny R Unternahrer. I do accept paid advertising, sponsorships, and other forms of compensation. The compensation received will not influence the advertising content, topics, or posts made in this blog. The paid posts will always be identified as paid or sponsored content. Even though I might receive compensation for posts, products, or advertisements, I will always give my honest opinions on the topics or products. The post will always express my own views without the influence of any compensation received. I will only recommend products that I believe in and I think will interest my readers. IN THE KITCHEN WITH JENNY is disclosing that I, Jenny R Unternahrer, receive products in exchange for my honest reviews and opinions. Some of my reviews may contain affiliate links that I do receive compensation or commission for. Opt-out – You may opt-out of future email communications by following the unsubscribe links in our emails. You may also notify us at jennyunternahrer @ gmail (dot)com to be removed from our mailing list. Access – You may access the personal information we have about you by submitting a request to jennyunternahrer @ gmail (dot)com. Amend – You may contact us at jennyunternahrer @ gmail (dot)com to amend or update your personal information. Forget – In certain situations, you may request that we erase or forget your personal data. To do so, please submit a request to jennyunternahrer @ gmail (dot)com. The Website does not knowingly collect any personally identifiable information from children under the age of 16. If a parent or guardian believes that the Website has personally identifiable information of a child under the age of 16 in its database, please contact us immediately at jennyunternahrer @ gmail (dot)com and we will use our best efforts to promptly remove such information from our records. Use and/or duplication of this material, including photos, without written permission from the author/owner is strictly prohibited. In cases where permission is granted, full and clear credit must be given to IN THE KITCHEN WITH JENNY with appropriate and specific direction to the original content.